How important is training for teachers? There is no doubt about the fact that gaining international education proves beneficial for the students in more than one way. At the same time, the funds required for ensuring a good education overseas, often prove to be a big investment for even the well to do families. However, by seeking the services of the best Global education consultants, such as Rosetta Williams, it is possible for the students and their sponsors to ensure that this investment proves worthwhile to them. This is because these professionals offer a wide range of services that help in reducing the stress of studying abroad besides increasing the chances of success of the students in whatever line of education they choose. Some such services rendered by the professional education consultants in Delhi and other parts of the country are discussed below. Most renowned education consultants make it their mission to simplify the admission process and make it totally hassle free for the students. They help the students fill the elaborate paperwork required for gaining admission in the best universities and institutes, besides preparing them for any entry level tests and interviews. The education consultants in Delhi keep themselves updated about the any changes in admission policies and procedures of the different institutes across the globe to offer the best guidance to their students and minimize any chances of rejection. In most cases, the students opting to study abroad are not too familiar with the culture of the country they intend to live in for the next few years. According to the most famous educationists in India, no amount if study and learning can prepare the students for this aspect of overseas education, unless they experience it practically. However, the expert education consultants provide ample details to the students to minimize their cultural shock. These consultants inform the students about what is culturally acceptable and what is not in their destination country. This can prove extremely helpful for the students to easily adjust to their new surroundings. Most countries across the globe allow their foreign students to have limited working right so that they can support their studies. However, these rights depend largely on the type of courses that the students opt for and hence might vary from a few hours every week to getting full time jobs. 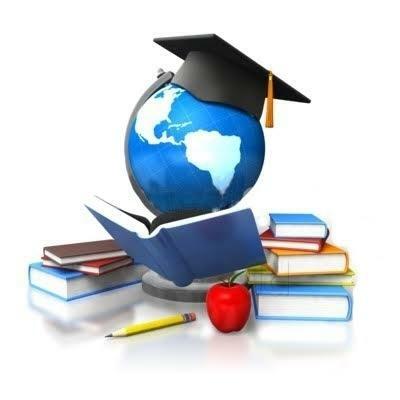 The global education consultants make their students aware of their working rights in the foreign country and the best ways to gain employment in a legal manner. This not only helps to ease the financial burden of the families but also makes the students more confident and independent. As mentioned before, the money required for educating a student in a foreign country is often too much. However, most parents can raise the funds provided they get right advice and guidance from a professional expert. This is another matter in which the education consultants can prove helpful. They provide information to the parents about the funds and sponsorships that are acceptable within various countries, besides helping them avail education or personal loans for the purpose.